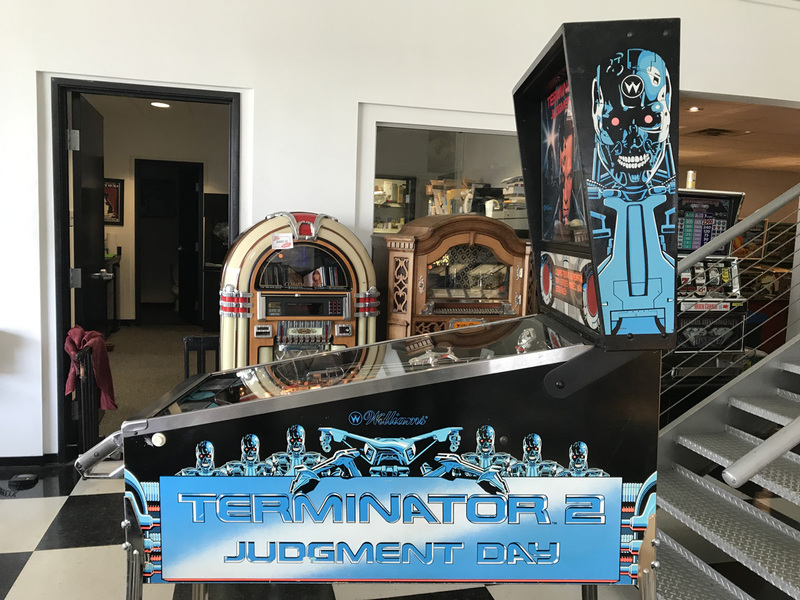 Terminator 2: Judgment Day Pinball Machine | Fun! The big screen spectacles and memorable special effects of the movie are all built into an exceptional game experience. Great sound and music. 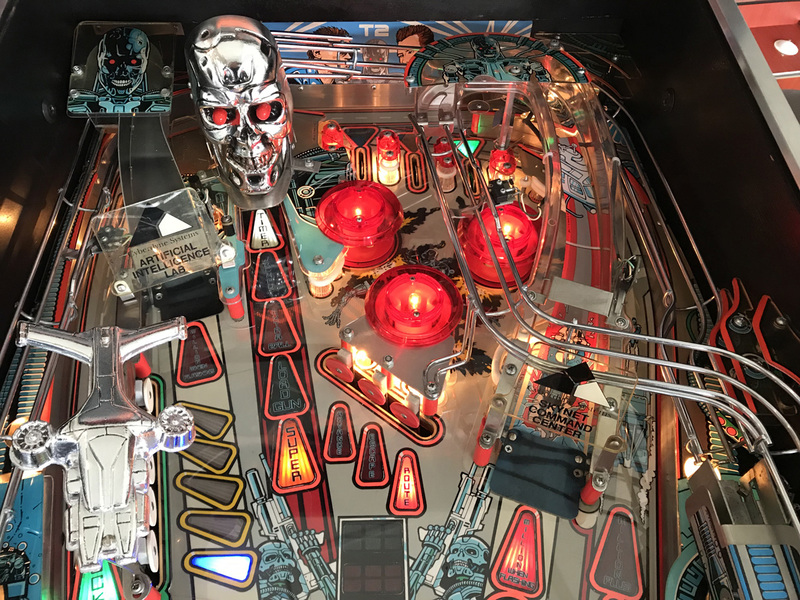 Designed by famed pinball designer Steve Ritchie, this machine is one of the most recognizable and collectible pinball machines from the early 90’s for good reason. 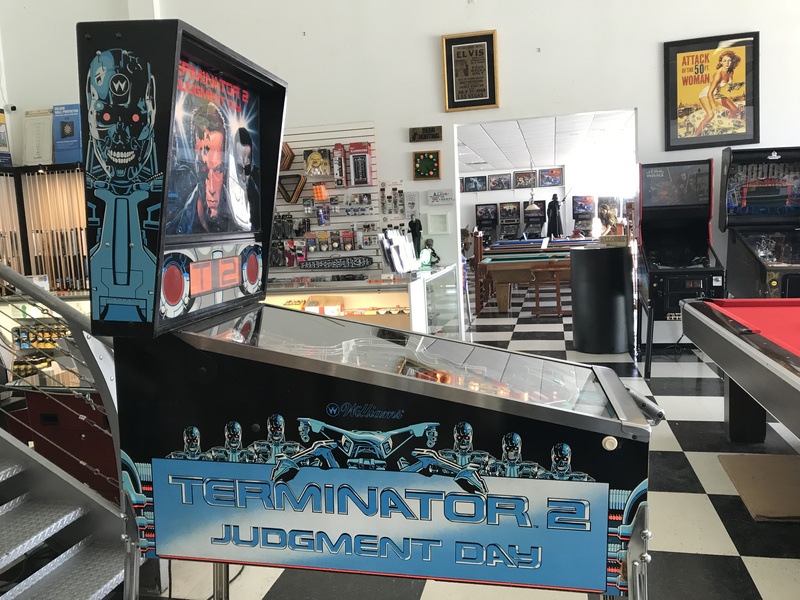 Obtained from a collector, this game is in very good condition from the cabinet to the playfield. 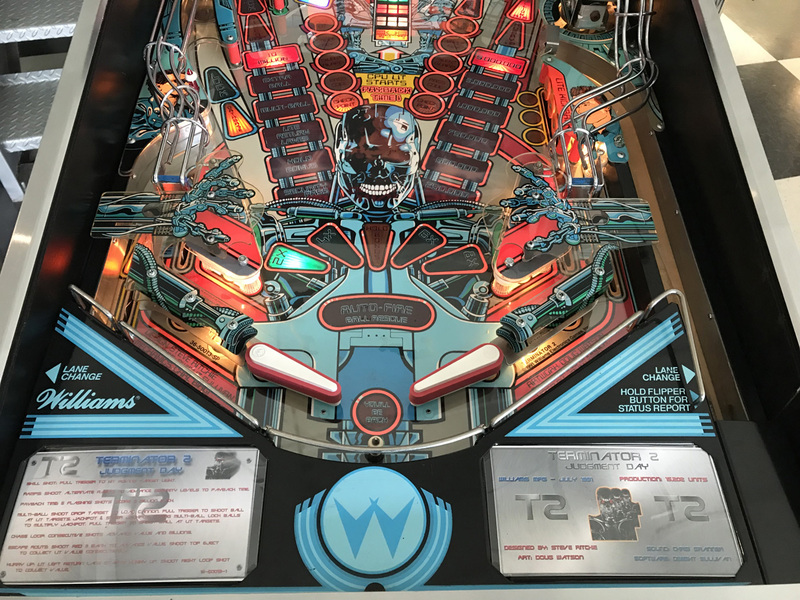 T2 looks and plays great! 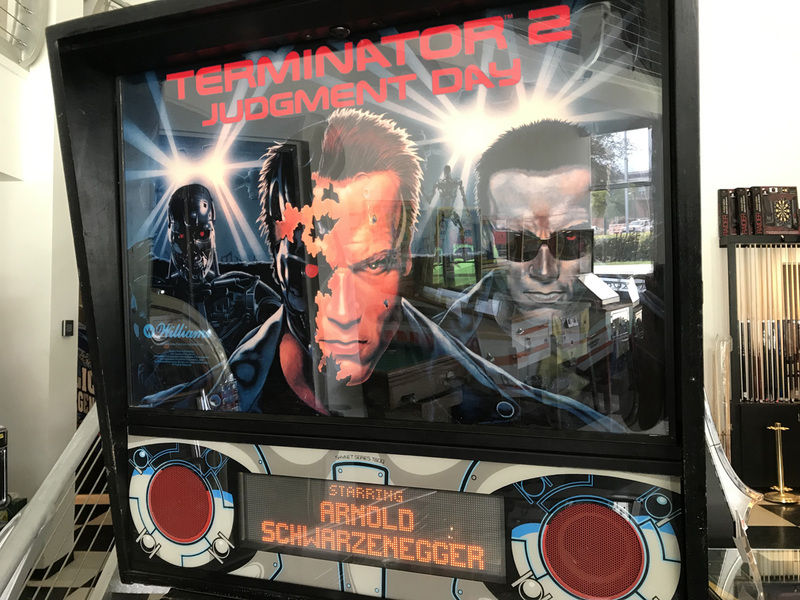 Terminator 2’s cabinet does have a few minor scuffs and scratches as you would come to expect with pinball that was once used commercially and is now 28 years old. 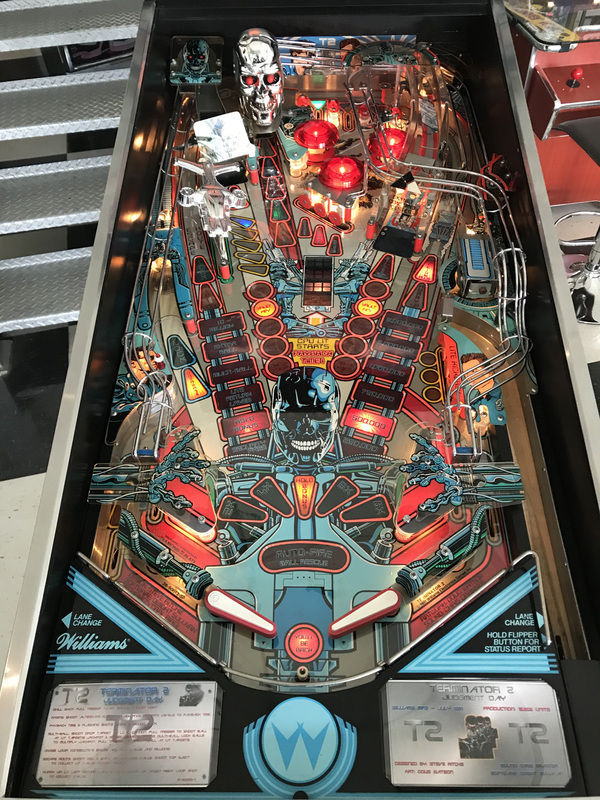 We have thoroughly shopped this game out by removing all components from the top of the playfield and then cleaned and polished the entire playing surface. Under playfield components and lens have been cleaned. A brand new set of rubber rings and balls have been installed. Finally we upgraded all of the #44 & #555 bulbs to LED lighting. This is turn looks much better, the LED’s last longer and they put less strain on the electronics of the machine as they consume less energy. 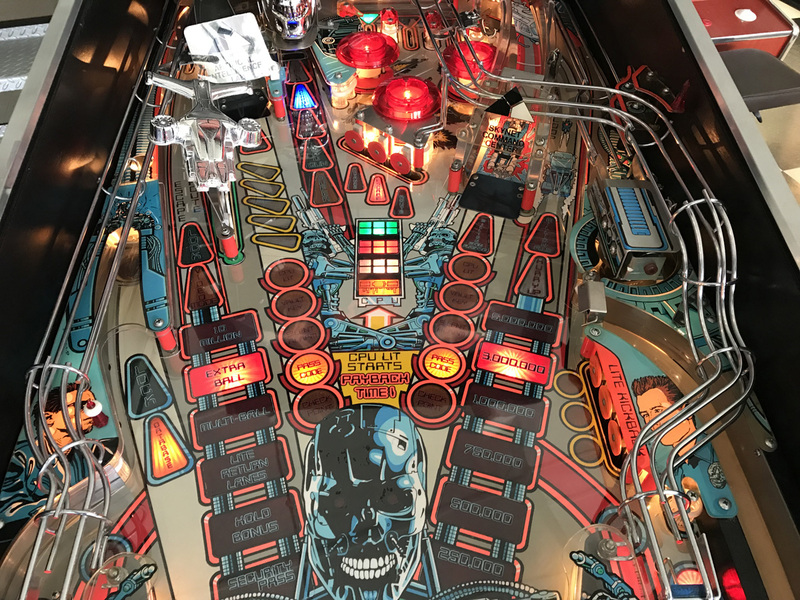 In addition this machine has a clear playfield protector installed over the entire playing surface preventing it from ever wearing out. 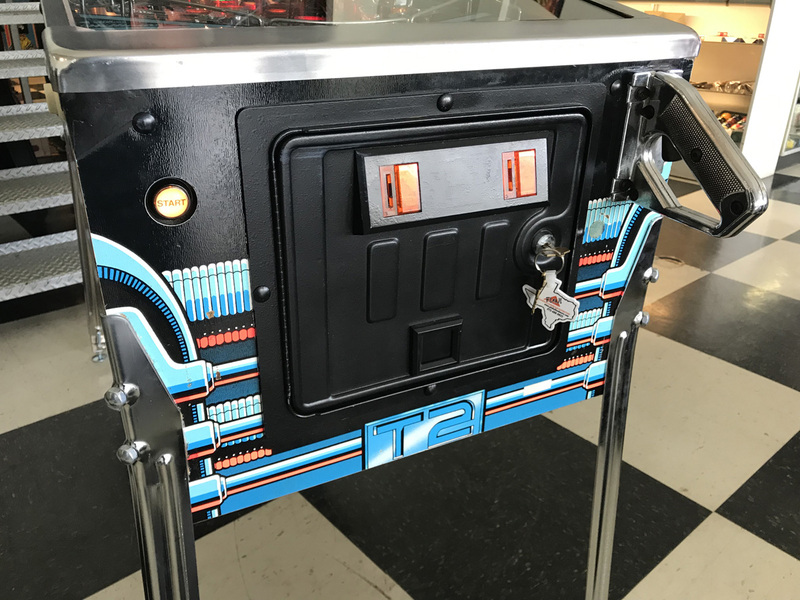 The entire speaker system of this game has been upgraded with the PinballPro speaker system, which includes high quality backbox speakers and amplified subwoofer in the lower cabinet. 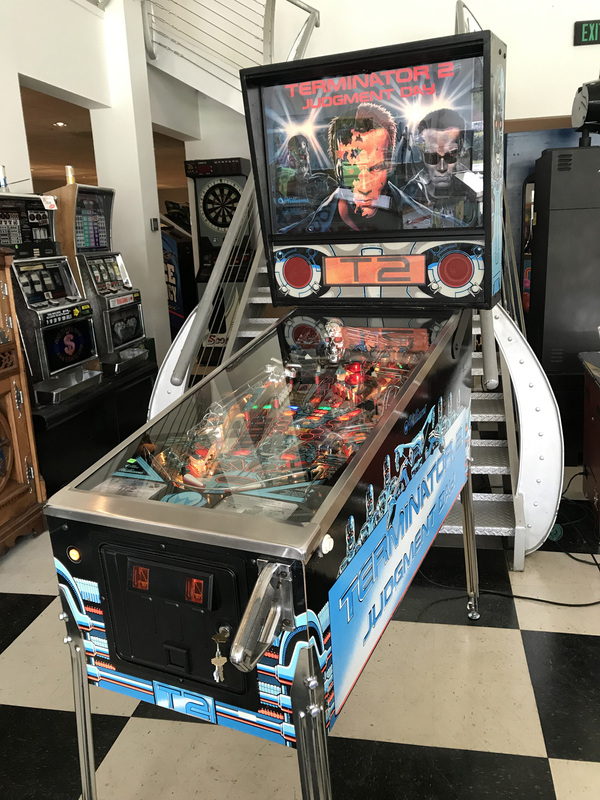 Like with all of our pre-owned electronic pinball machines. Terminator 2 includes a 30 day parts and labor warranty.